Peachy Clean Maids, Inc. (formerly Maid U Smile) is a family-owned, non-franchise maid service, with years of experience delivering top notch, dependable, and high quality cleaning services to the Lake Norman community. Owned by Heather and Travis Elliott, Heather has been working in the cleaning industry for over 14 years. Heather started with the company in 2002 when it was known as Santational Maids. She started as a maid, working as a team member always striving to do her best. Heather was always a humble and hard worker regardless of her job position within the company. She quickly became a supervisor and ran a team of her own for several years. Heather enjoyed it and took a lot of pride in her work. She trained new employees, and her team generated a lot of growth for the company. She was well respected by all of her customers and co-workers. 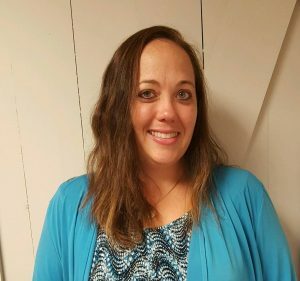 Heather was then given the opportunity to work as the office assistant for a few years, where she learned how to quote estimates, schedule cleans, manage payments, and manage employees. In 2011 Heather was promoted to Director of Operations. In this role, Heather managed the entire customer base, 25 – 30 employees, and the complete operations of Maid U Smile. With her years of hard work and dedication to the company, Heather realized that her dream was to one day own a cleaning business of her own. 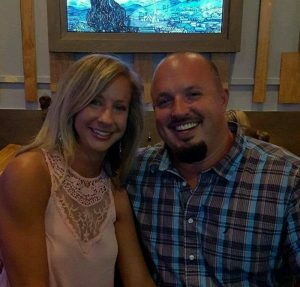 In 2016 Heather and her fiancee Travis purchased Maid U Smile and renamed it Peachy Clean Maids, Inc. Travis holds a Bachelor of Science degree in Business Management and Finance from Lenoir-Rhyne University, and a Business/Physical Education degree from Appalachian State University. He operates an insurance company, and property management firm in Iredell County, and brings to Peachy Clean Maids, Inc. a wealth of business and management experience, to compliment Heather’s extensive industry knowledge. Heather and Travis are extremely grateful for the opportunity to help simplify the lives of so many by providing them with reliable, unsurpassed service, delivered by the most respected team of cleaning professionals in the Lake Norman area. Heather is extremely blessed to have so many hard-working individuals working for her at Peachy Clean Maids. Every employee has a specific role that is very important to the company and to our many customers. One of our supervisors, Tammy Hill has been with the company for 22 years, has been through 4 different name changes and now 3 different ownerships. Supervisor Donna Hutchinson has been with this company for 5 years. Supervisors Natalie Ferrell and Suzette Sykes have been with this company for 4 and 2 years, respectively. We have some very dedicated ladies that have been with us for a few months and some for over a year. Every single employee is a contribution to the company in their own special way. Lead Supervisor and Heathers right hand gal. Dawn started with the company in 2004 when it was Santational Maids. She started out with the company as a maid and quickly advanced to a supervisor and ran a team of her own for 7 years. During that time Dawn developed a large clientele that requested only her team. She was well respected and truly loved by all her clients, not only because of her strong work ethic but because of her caring, giving personality. Over the years and through the company name changes and ownership changes Dawn has always been one of the hardest working and most helpful employee the company has ever seen. With her caring personality, yet stern ways Dawn has always been the “mom” of the group and a strong leader for the company. In 2012, when the company was Maid U Smile, Heather was the Director of Operations and decided to put Dawn on a training team to do the training of all new employees. In September 2012 Heather needed a new assistant in the office to be able to handle all issues when she was not around and someone who she knew truly cared for the employees and customers just as much as she did. Dawn was the woman for the job. Dawn has been the Lead Supervisor and Heathers assistant for 4 years and has done an exceptional job. Dawn delivers support to everyone in the company, she truly is the mom, even for Heather sometimes. Training, quality checks, office duties, estimates and anything you can think of this woman can do. Peachy Clean Maids is a better company because we have the leadership, love, dedication and experience from Dawn.